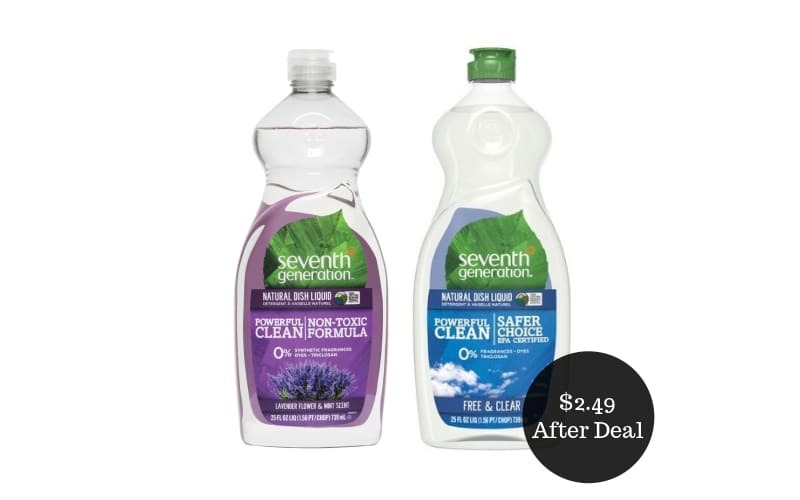 I’m all about healthier products that help keep the home clean. If you’re a fellow fan, here’s an offer to check out. 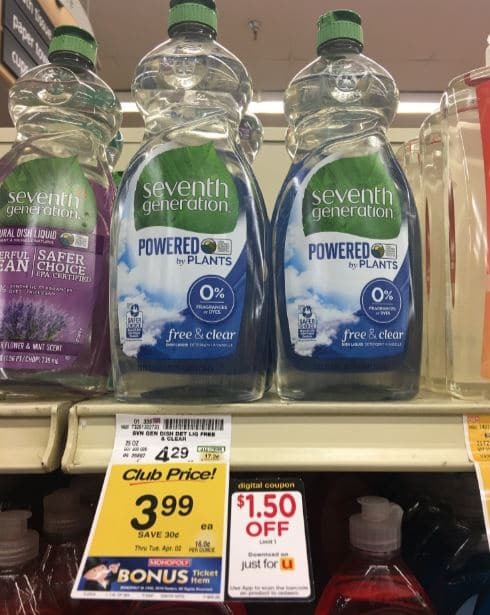 When you shop at Safeway grocery stores through April 2nd, grab a bottle of Seventh Generation Natural Dish Liquid on sale for $3.99. 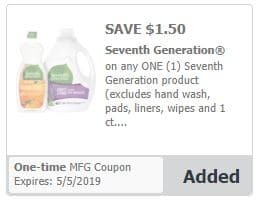 Before you shop, download the $1.50/1 Seventh Generation Just for U digital coupon and then use your Safeway card at the register. You’ll pay $2.49 after the deal! Interested in more savings? Here are some offers to check out: LARABAR Bar & thinkThin Protein Bar for $0.50 each, asparagus for $0.97 per lb., Open Nature Beeswax Lip Balm twin pack for $1.00, chicken for $0.97 per lb., 5 lbs. of russet potatoes for $0.99, and the Safeway ad & coupon matchup valid through April 2nd. 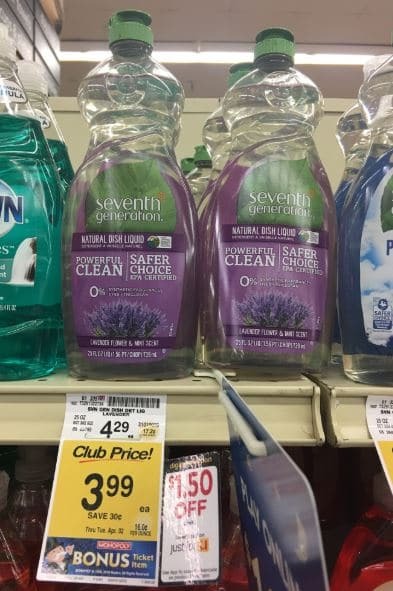 Final price = $2.49 for an all-natural option for your home!